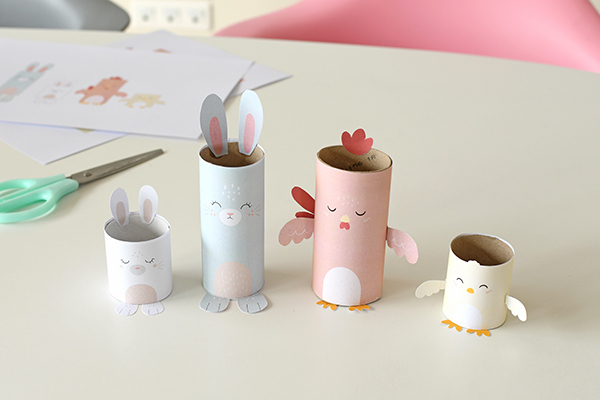 and… four toilet paper rolls! 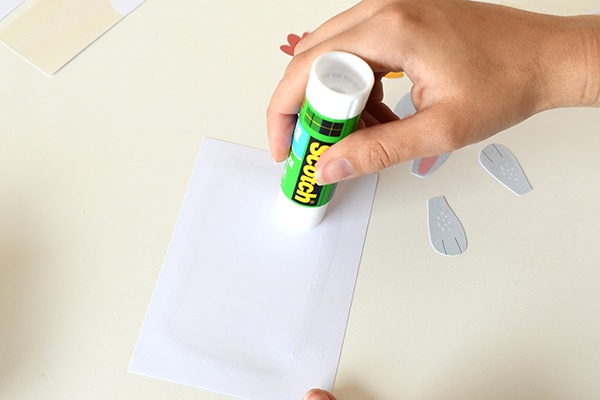 Step 2: glue the recto of each templates. 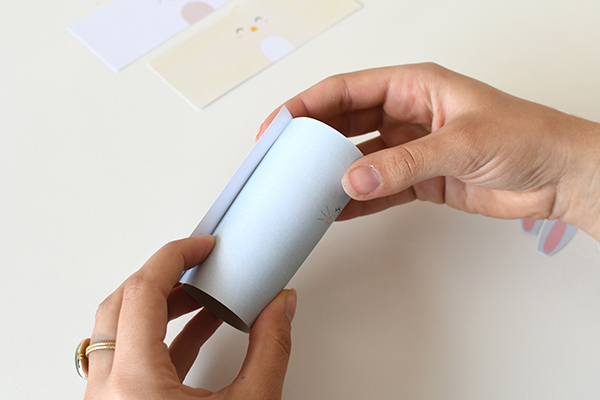 Step 3: stick the templates around the toilet paper rolls. 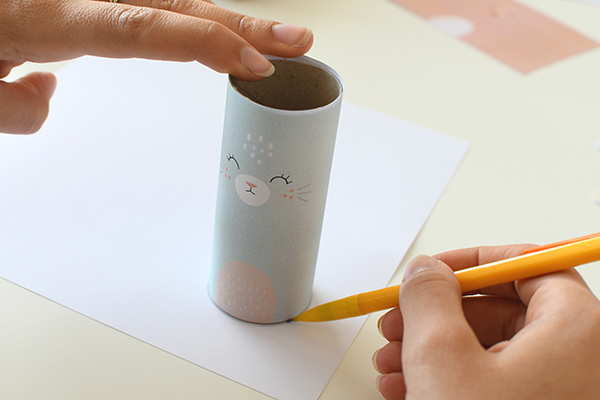 Step 4: with the toilet paper roll, draw a circle on a piece of sheet. 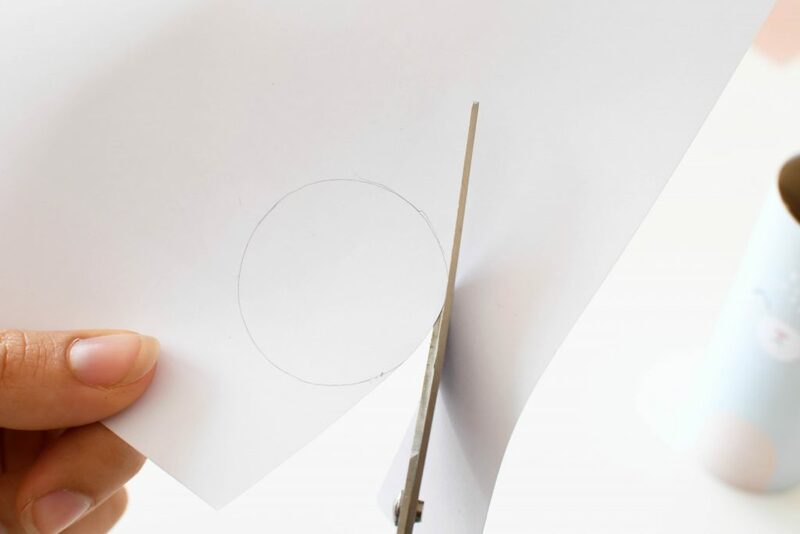 Step 5: cut it out. 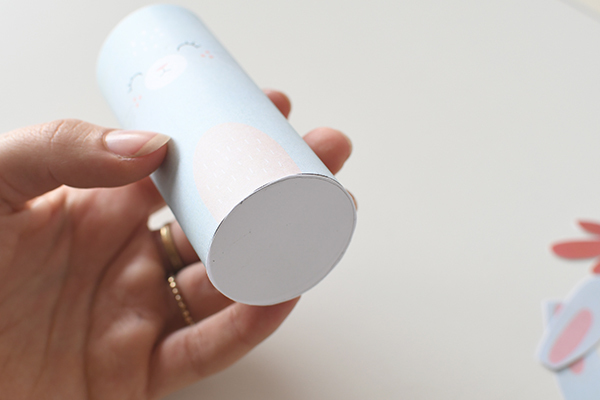 Step 6: stick the circle under the toilet paper roll to close it. 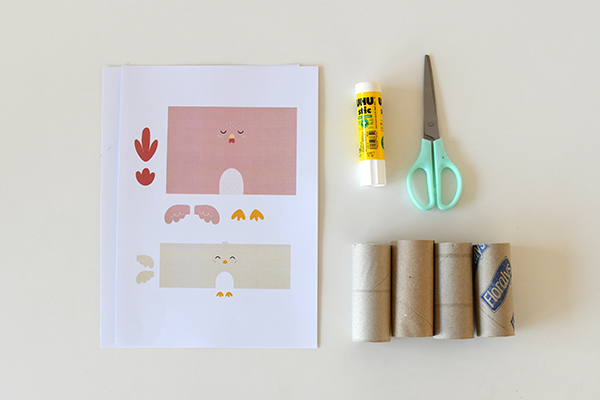 Step 7: stick the corresponding elements to each animal on the toilet paper rolls. 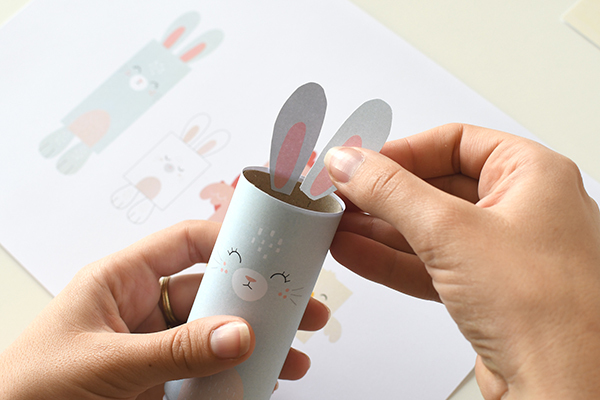 Step 8: draw the shapes of the little animals on the toilet paper rolls to cut the upper part out with scissors or a box cutter. 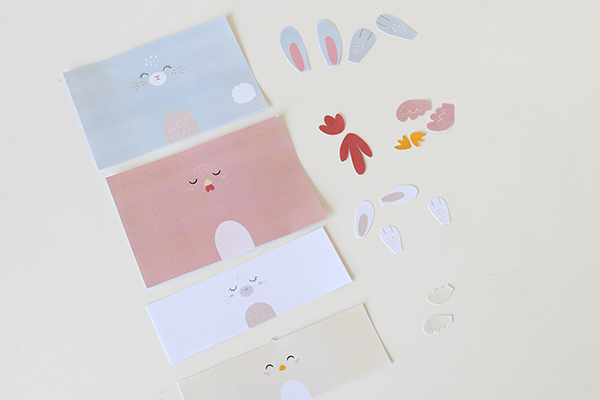 Step 9: your table decorations are ready! 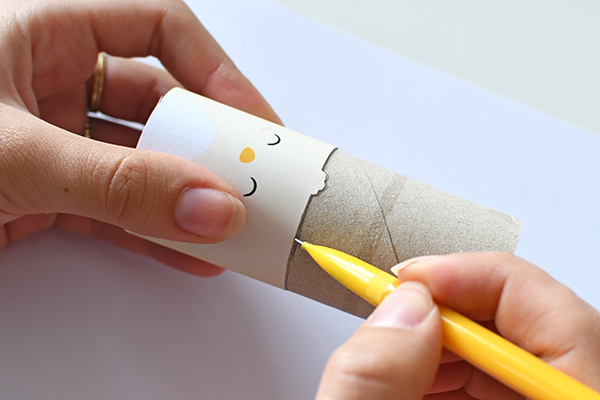 Let’s fill them with chocolate surprises! 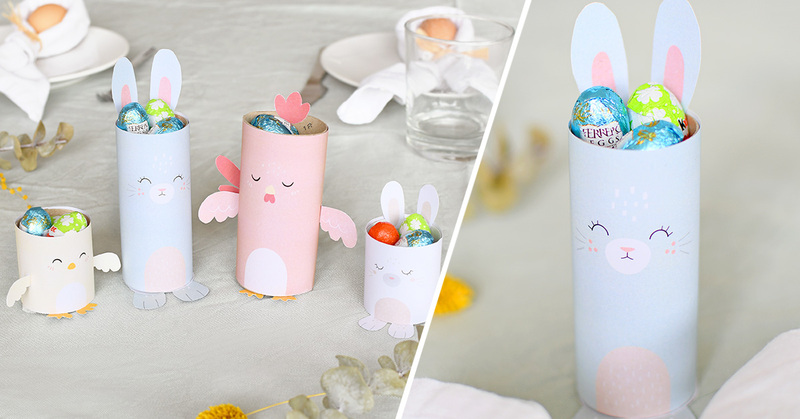 If you also want to create Easter egg basket, to make a glass marble game to keep the kids entertained or to do bird nest to hide chocolate eggs inside, this way! It was the Wednesday DIY!